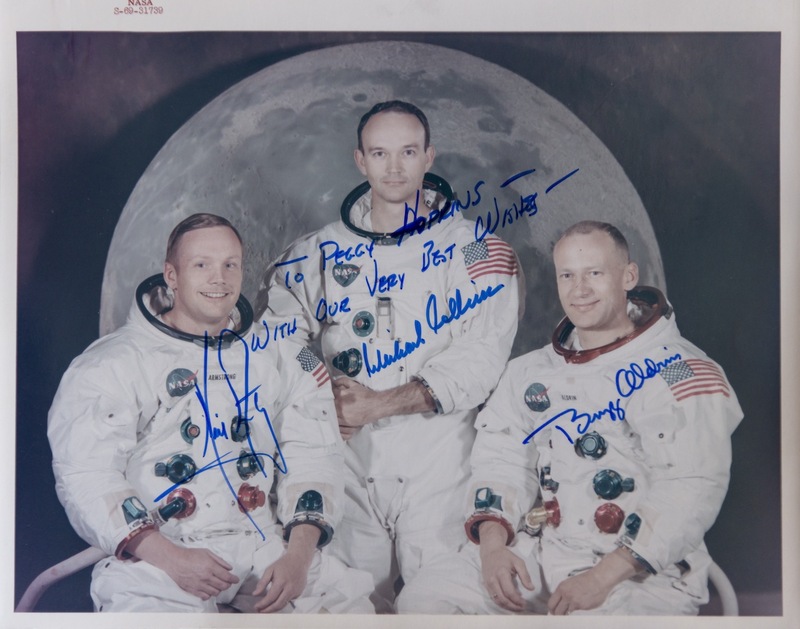 Signed and inscribed by the crew of Apollo 11, the first manned mission to land on the moon: Neil Armstrong (commander), Buzz Aldrin (lunar module pilot), and Michael Collins (command module pilot), with an added inscription by Collins. This official NASA photograph shows the three astronauts in their flight gear with a picture of the moon as their background. 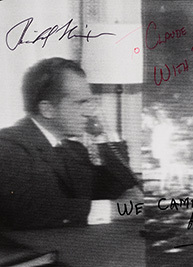 “To the people of Israel—with gratitude for the ties that bind us." A splendid photograph of Bill Clinton and Benjamin Netanyahu seated in the White House, signed and inscribed “To the people of Israel—with gratitude for the ties that bind us. 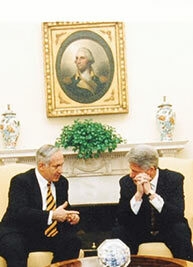 Bill Clinton.” Netanyahu was Prime Minister from 1996 to 1999 during the second Clinton administration. EDITION DE LUXE, one of 250 large paper copies signed by Stanley. 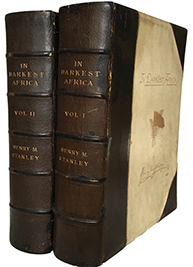 This beautiful production is superior in every respect, including the quality of the binding, the paper, and the illustrations, to the ordinary trade edition. 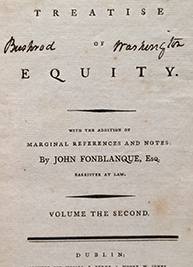 Bushrod Washington’s copy, with his signature on the title-page. George Washington’s favorite nephew, Bushrod (1762-1829) was executor of his uncle’s estate and inherited Mount Vernon. He inherited Washington’s library and papers, and this volume was surely shelved side-by-side with those books at Mount Vernon. Bushrod Washington gave John Marshall access to Washington’s papers when the chief justice was writing his Life of Washington. 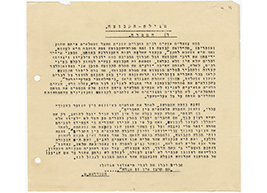 This collection of Zionist essays, letters, and other papers documents a crucial period during the British Mandate in Palestine. 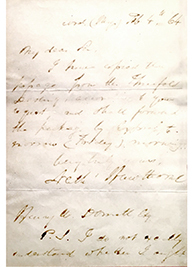 Hawthorne on his early story "The Three Fold Destiny"
Hawthorne writes, “I have copied the passage from the Threefold Destiny according to your request, and shall forward the package By express, tomorrow (Friday) morning.” Hawthorne adds in an initialed postscript that he was unsure whether to send the letter to Dommett in Boston or in New York and chose Boston. 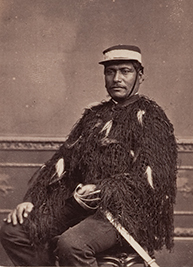 Dommett was the longtime art critic for the New York Mail and author of A History of the Bank of New York, 1784–1884 (1884). 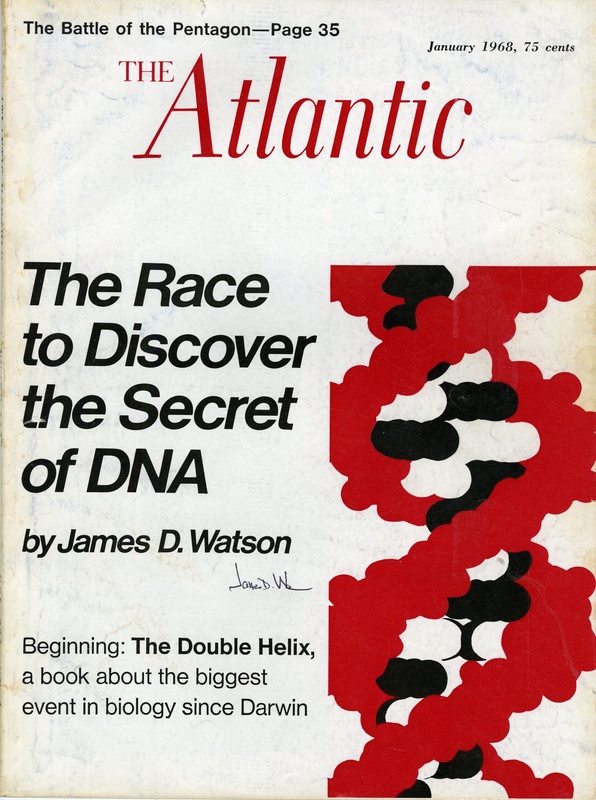 FIRST EDITION of The Double Helix, preceding the publication in book form in late February 1968. Signed by James Watson on the front cover of each issue. 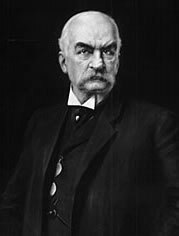 In this letter on J. P. Morgan & Co. letterhead, Morgan writes to his friend financier Levi P. Morton, the governor of New York and one of Morgan’s principal banking rivals.